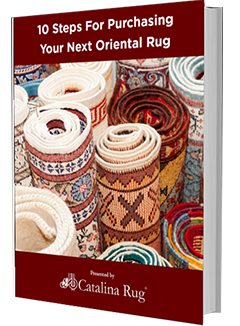 Most of us know that Persian rug weaving is an ancient art and we have a pretty good inkling of how valuable antique oriental rugs can be but have you ever wondered about whether or not it would actually be possible to identify the world’s oldest rug and what that rug would look like? 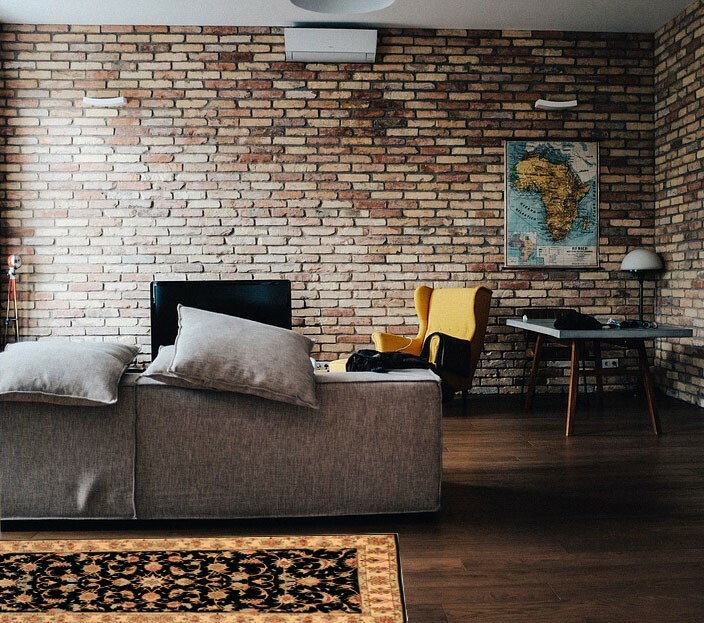 Interestingly, there actually are two very famous rugs that have been identified as the oldest rugs in the world – the Pazyryk rug and the Ardabil rug. Both of these rugs are very impressive, with high knot counts and very intricate patterns and each of them has their own interesting history and equally interesting features. In this article we take a look at both of these rugs. Dating from the 4th century B.C. 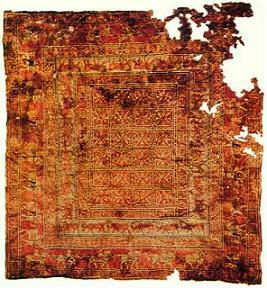 and at approximately 2400 years old, the Pazyryk rug is the oldest known Oriental rug. The rug was discovered during an archaeological excavation in 1949 in the Pazyryk Valley in the Altai Mountains of Siberia. The exact location where the rug was found was a semi-frozen burial tomb. The Pazyryk burial tombs were building into the mountainside closes to the borders of Kazakhstan, Mongolia and China. The tombs were very durable. They were constructed of wood and boulders and their inner structures were extremely well-designed and well-constructed. All of these factors contributed to the preserving the rug so well through the centuries. 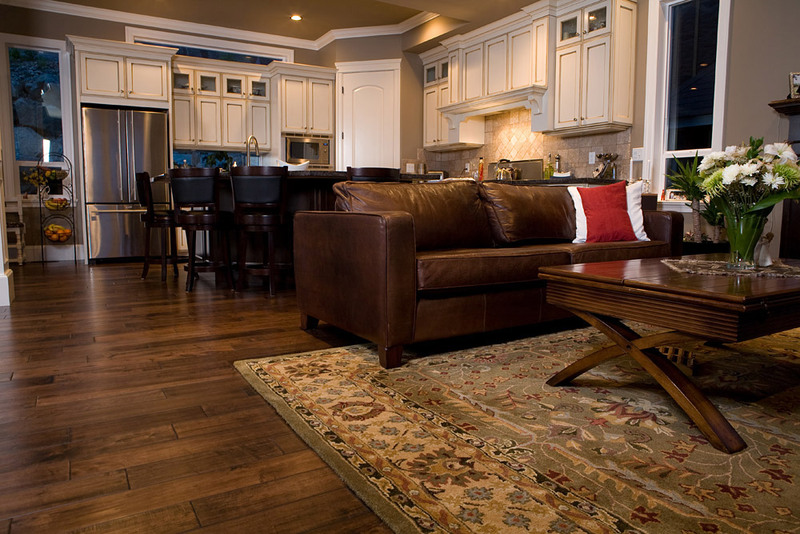 Radio-carbon dating, which was done to determine the exact age of the rug placed it at about 2,400 – 2,500 years. What is particularly striking about the rug is that despite it being made so many years ago, it displays a high level of skill and intricacy, which in a way is a testament to the long history of carpet-weaving in Persia. The rug measures 183 cm x 200 cm and has a high knot count of about 225 symmetrical knots per square inch ( please check the knot count- different sources give different knot counts). It has a very intricate and complex design consisting of a skillful combination of geometric, floral and pictorial patterns with. The design includes 24 cross-shaped figures and each of the figures has 4 lotus buds. This is framed by a border of griffins, which is again followed by another border of deer. This Is The Oldest Ardabil RugThe Ardabil rug is the other Persian rug that is considered as one of the two oldest Persian rugs. In addition, it is also one of the largest sized rugs in the world, measuring an impressive 10.5 meters by 5 meters. The Ardabil Persian rug was woven during the Safvid Empire in the late 1530s. This was a time when the royal rug factories were first established and the most talented weavers were handpicked to weave rugs for the royal court. 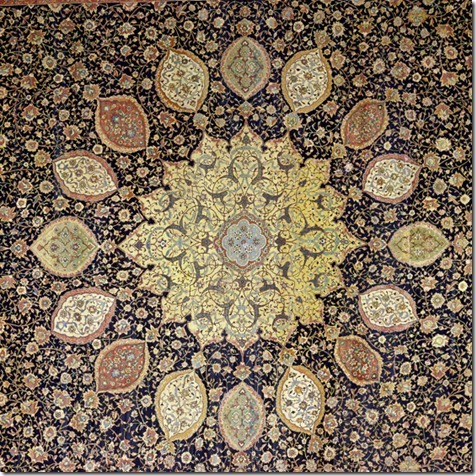 The Ardabil was one of a matching pair that was specially woven on commission for the shrine of Ardabil. 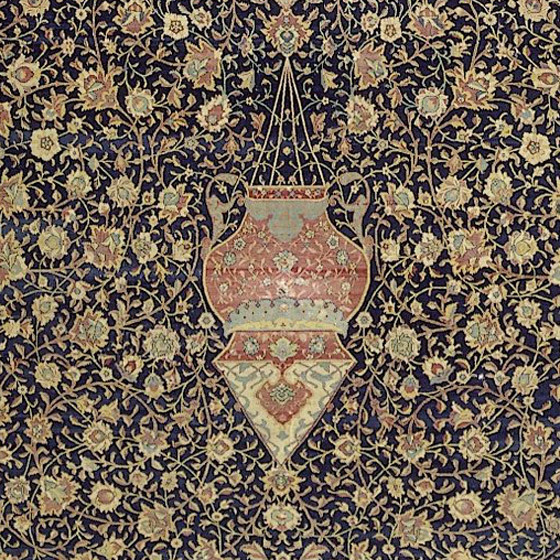 After the rug was completed, it was placed in the shrine where it remained without being moved till 1873, when a huge earthquake damaged the mosque and all it contained, including the rugs. The caretakers of the shrine then made a decision to sell off the rugs to raise much-needed funds for the repairs to the damaged shrine. The damaged rugs were bought by Ziegler & Co., a Manchester based firm that was well established in the rug trade at that time. After much deliberation as to the best way to restore the rugs, it was decided to sacrifice one rug for the other. Parts of one rug were used to restore the other, with the result that now there was one complete rug and one that was ‘patchy’ and had no border. The second, smaller rug was first purchased by an American collector and it was later passed on to the Los Angeles County Museum of Art in 1953. 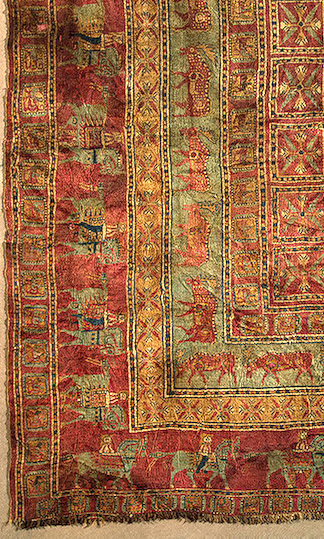 For several years this rug was displayed hanging from the wall in the gallery. Around 2006, the rug was taken off the wall and placed on the floor under a large, specially-built glass case. 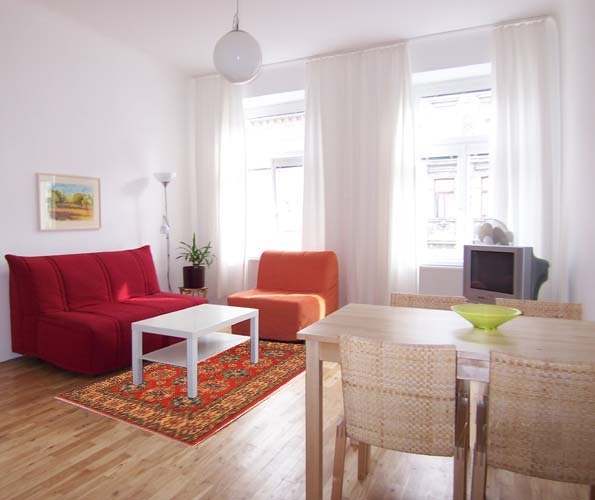 The rug measures 10.5 meters x 5.3 meters and has a silk foundation with a wool pile. The pile is long and dense with knot density of around 300-350 knots per square inch, which works out to about 26 million knots. This high knot density allowed the designer to incorporate a greater intricacy of detailing into the overall pattern of the rug. 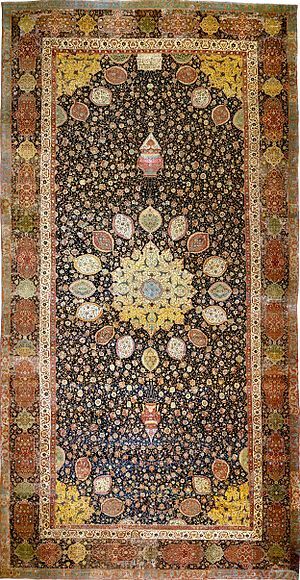 Considering the intricacy of the design, it is thought that up to about 10 skilled weavers worked on the rug at any one given time and even with that, it took several years to complete. The weaver worked from drawings created by a highly experienced specialist designer. Ten different colors were used in the weaving. There is a slight variation that can be seen in the shades in different areas of the rugs. This variation is a result of the wool being dyed in batches using natural dyes. Given the size of the rug, this is only to be expected. The entire area of the rug is filled with a single integrated design with well-balanced individual components. The basic design is relatively simple and the richness of the overall design is a result of the contrasting colors in the background and the subtle variations between the patterns that are used as filler patterns. The border is made up of 4 bands that run parallel to each other. The border encloses a large rectangular field and in the very center of the field is a large yellow medallion. Around the medallion is a circle of pointed oval shaped patterns with a hanging lamp featured at either end. The four corner pieces are basically 1/4th of the central medallion pattern but they did not feature the lamps that can be seen in the center. Within the design itself, each part is filled with one or two types of scrollwork set with various leaves and flowers. Some of the patterns feature symmetrical snaking forms that represent clouds. The largest and the most complex of these patterns covers the dark-blue background of the main field. Here there are 2 sets of scrolls and they are designed in such a way that one is laid on top of the other to create a sense of depth. The absence of any form of animals is another unusual feature of the Ardabil rug. Most rugs that were woven around that time almost always featured animals. The reason this rug featured no animals was thought to be because it was specially created for use in a religious setting. Another very interesting feature of this rug, which is very rarely seen in other rugs woven in this period is the four line inscription placed at one end of the rug. The first and second lines are a poetic couplet extracted from a ghazal written by Hafiz Shirazi, a Persian mythic poet. The quotation alludes to the fact that the shrine where the rug is placed, is a place of refuge to the holy. The third line contains a signature and on the fourth line features the date 946 in the Muslim calendar. This is the equivalent of AD 1539 – 1540. After the rug was finally completed, the weavers have to undertake the herculean task of trimming the pile. This was done using a special pair of scissors to try and get the pile to a uniform length throughout. The Ardabil Carpet is the world’s oldest dated carpet and one of the largest, most beautiful and historically important in the world.